From a cash burn rate that is among the highest in the tech startup space to issues around distribution, scaling and profitability, the online pharma industry faces a number of challenges. But there was reason to be cheerful recently when a draft regulation spoke of formal recognition for such businesses, a step which would legitimise their very existence. “At least the unfounded doubts on the legitimacy of e-pharmacies are fully put to rest," Prashant Tandon, co-founder and chief executive of 1mg, told TechCircle. 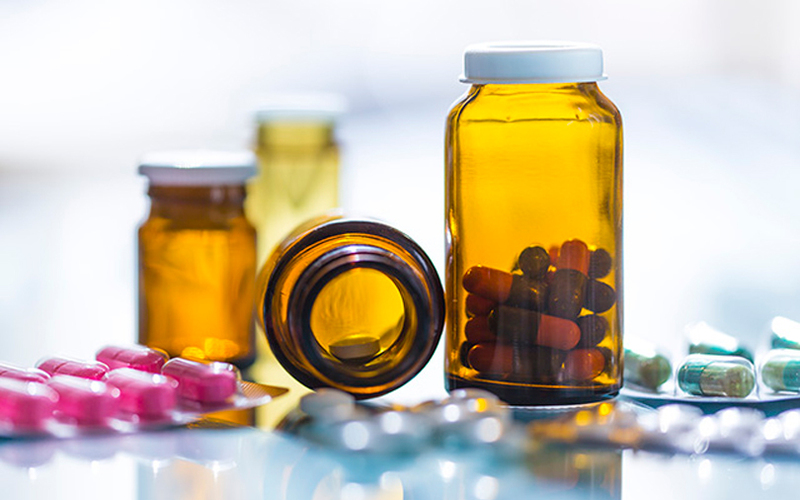 Companies in the sector witnessed a funding revival last year, boosted by a government clarification which said that a valid prescription was enough to buy medicines online. Over the past 12 months, all five major players – Medlife, 1mg, PharmEasy, Netmeds and Myra – have raised significant sums of money. And with positive news on the regulatory front as well, they are all hoping to accelerate growth in the next three to four years, even as mounting losses remain a concern. While the financials for 2017-18 are not yet available, the top five players saw their revenues at least double or triple during each of the last three financial years. Speaking to TechCircle, entrepreneurs in the space said that the industry is estimated to have sold Rs 1,500 crore worth of medicines online in the financial year ending March 2018. With recent funding adding to their firepower, e-pharmacies are now gunning for new customers. The modus operandi has changed over the past couple of years, with a shift from a managed hyperlocal marketplace to a more centralised one. Companies now work with a couple of top pharma distributors in each state/region and have local warehouses and in-house pharmacists. "We need much bigger scale to run a pure inventory-led model," said 1mg’s Tandon. "It makes more sense to have more control over the quality of supplies to customers to have fewer distributors." Tandon says 1mg’s revenue increased four times in 2017-18 (official data is awaited). The platform has more than eight million unique users every month. The company has expanded its labs and e-consultation business over the past year, with online medicine sales now accounting only for 60% of revenue. The firm registered a Rs 58.1 crore loss in 2016-17. But Tandon says there has been an improvement since then and 1mg is hoping to turning profitable in two years’ time. The Chennai-based company has more than 2 million registered users and an active monthly user base of more than a million. Dadha, whose family has been in the pharma business for more than a century, acknowledges that profitablity suffers as there is a lot of infrastructure investment required for stitching together partnerships, technology, corporate overheads and delivery. “We are some eight quarters away from being EBITDA positive," he said. Faizan Aziz, founder and CEO of Myra, has shifted his business to an inventory model and the Bengaluru-based firm processes more than 7,000 orders a day. Azid said Myra is witnessing 10-20% growth every month, and is hoping to grow five times in the current fiscal. Industry experts say treating e-pharmacies on par with their brick-and-mortar peers could help the online players occupy a 10-15% market share. The pharma industry as a whole is estimated to have annual sales of Rs 1.2 lakh crore. If even 10% of this moves online in the next three or four years, e-pharmacies will be a Rs 10,000 crore industry. As things stand, the industry is highly fragmented. There are more than seven lakh retail pharma stores spread across the country. The vast majority of these are mom-and-pop pharmacies. Some of the largest offline pharmacy chains have launched online services and are wooing customers with discounts, gift cards, loyalty points, apart from other sweeteners. He added that acquisitions could be one option for offline chains. According to PharmEasy, most sales online are repeat-driven, with medicines for chronic illnesses occupying a significant share. Around a quarter of all the company's orders are subscription-based. Most subscribers are in the bracket above 35-40 years, which makes customer acquisition a challenge. Online pharma’s overall customer base is esimated to grow to 20 million in four years. The average ticket size above Rs 1,000. The nature of the products is fundamentally different compared to other consumer industries. For one, medicines are not choice-based but need-based. In addition, every medicine is standardised and there are no colour or size preferences that a customer can choose from. Pai feels that the biggest advantage for the online platforms is that they make price discovery of medicines transparent and competitive. However, that advantage is also the segment’s main challenge as consumers tend to look for discounts online and hence customer acquisition costs remain high. All the major companies have reported a loss somewhere between Rs 40 crore and Rs 70 crore in the two most recent years for which financials are available. PharmEasy co-founder Dharmil Sheth said that because of the potential and the funding revival, companies are now mainly focussing on growth. PharmEasy has grown 300% over the last 12 months, he added. In addition to policy and consumer profile, e-pharmcies also face other hurdles in selling medicines online. Mohla said that addressing the challenge of counterfeit medicines will give online players an edge over offline stores. Industry body FICCI estimated that almost 25% of all medicines sold in India are fake. Online pharmacies say that as the distribution and supply chain becomes monitored and centralised, they could potentially solve that problem. Myra’s Aziz said that online pharmacies have worked towards ensuring that their medicines are more reliable than offline stores, and most customers have started believing it too. Aarin Capital’s Pai said that as the companies gain scale, there is potentially a large opportunity in aggregating data and predicting consumer requirement pattern apart from probable cross-selling options. However, it is not clear as to how the new regulations will affect the data sharing with partners for these startups. "The offline pharma business has high distribution and retailing costs because of government regulations and other requirements of the industry. However, the online players' costs are low because you need only a few B Pharm graduates," he added. Industry experts say that despite their air of optimism, online pharmacies are not exactly in the pink of health. Not only do they need to find a cure for bleeding, but they also need a dose of vitamins to stand out from the rest. Amid waves of consolidation in most other sectors, the e-pharmacy space has produced several strong players, with the cream of the crop pretty much on equal footing. Sasha Mirchandani of Kae Capital, an investor in 1mg, admits that while it is a tough market right now, there is plenty of scope. "As long as you are doing things right, there is scope for a lot of innovations in a segment no one has won yet," he said.